Spilled soda isn't hard to clean ... we promise! Nothing pairs better with a burger than an ice-cold Coke. Spill it on your clothes, however, and that drink goes from refreshing beverage to annoying. 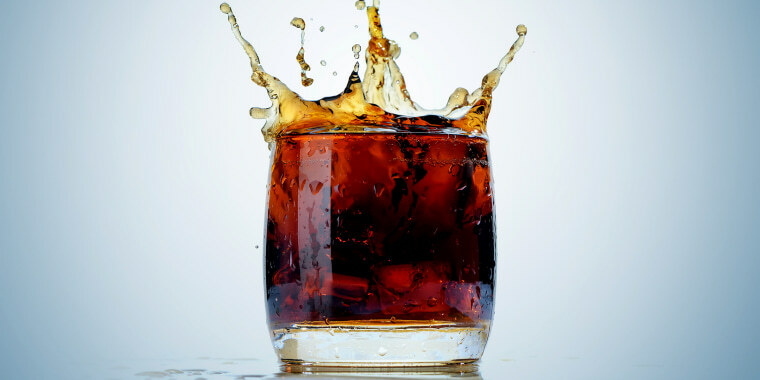 TODAY Home asked cleaning experts how to remove cola stains and, as it turns out, it’s not that hard after all! Dan Miller, owner of Mulberry’s Garment Care in Minneapolis, St. Paul and San Francisco, explains that cola stains are plant-based and are broken down by acids. Miller offers a three-level approach to tackling this stain. Pre-treat the stain with lemon juice or vinegar and allow it to sit on the stain for 5 minutes. It may be helpful to tamp the stain with a small brush or toothbrush. Rinse the stain with water to make sure the acid doesn’t damage the fabric. In most cases, this pre-treatment will loosen the stain and it will come out by rubbing with detergent or throwing in the washer. If the stain persists, spray it with an enzyme-based stain remover. Allow it to work for 15 minutes. Machine or hand wash as usual. If the stain still remains, your final option would be to use an oxygenated bleach, such as hydrogen peroxide or chlorine bleach. Since these products can easily cause color loss or fiber damage, be sure to test the product in an inconspicuous place before applying to the garment. Do not allow the bleach to remain on the garment for more than a minute before flushing. Another option is to machine-wash the garment using detergent and bleach. Steve Huck, divisional business development manager for Coverall North America removes cola stains from carpet and upholstery with the same method. Using a white clean cloth, blot up as much of the soda as possible. Use a tannin stain remover on the spill, but test first in an inconspicuous spot to make sure there are no changes in color or fabric texture. Apply tannin stain remover according to package directions. Blot up excess. Repeat as necessary until the stain is gone.